Yesterday’s quiz of painter Meg Maples omitted one important link: photos of the Radovan & Varian miniatures she painted for me. Scroll down to post #13 to see a comparison of the work she did on Varian in 2010 compared with the new version three years later. 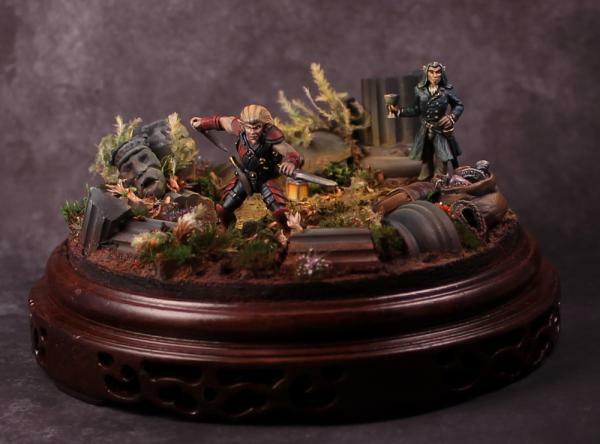 For photos of more amazing minis, check out Meg’s website, Arcane Paintworks.